This website has been developed for the Nottinghamshire and Derbyshire Local Authorities’ Energy Partnership by Marches Energy Agency to raise awareness about climate change and affordable warmth and to encourage individuals to take positive steps towards a low carbon lifestyle. 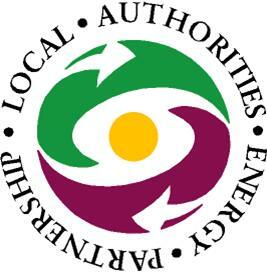 The LAEP is a successful and proactive energy partnership of all 19 county, city, district and borough councils which make up Nottinghamshire and Derbyshire and was established in 1996. The partnership works to alleviate fuel poverty, reduce carbon emissions, improve energy efficiency and promote sustainable energy generation. Marches Energy Agency (MEA) was founded in 1998 and is a registered charity and social enterprise. We specialise in the delivery of practical, effective and creative ways of promoting and enabling energy reduction and renewable energy solutions. The challenges of climate change, security of energy and rising energy costs continue to grow. At MEA we are inspired to embrace these challenges fully and help create a better future. In this future we see our homes and community buildings becoming warmer and cheaper to run, producing significantly less carbon and generating their own power. We see well-informed householders making their homes more efficient and reaping the awards in doing so, and neighbourhoods working together on the journey towards low carbon renewable energy. It's a future full of local installers that are able to deliver and which will support thousands of energy-related jobs over several decades. And we see more significant leadership roles from Local Authorities, faith networks, colleges and NGOs, able to influence, train and inspire. to help create low carbon citizens, communities, organisations and economies. Innovative: We seek in all that we do to be innovative. The scale of the energy trilemma (affordability, security & low carbon) calls for new ways of thinking and new ways of doing. Community Centred: The community is at the heart of all that we do. We have to try to engage whole communities on the low carbon/sustainable journey. Practical and exciting: Energy can be dull. We try to make it exciting (or at least less dull!) and always practical. Sustainable: What we provide has to endure long after we have moved on to the next project. We always aim to leave a lasting legacy.